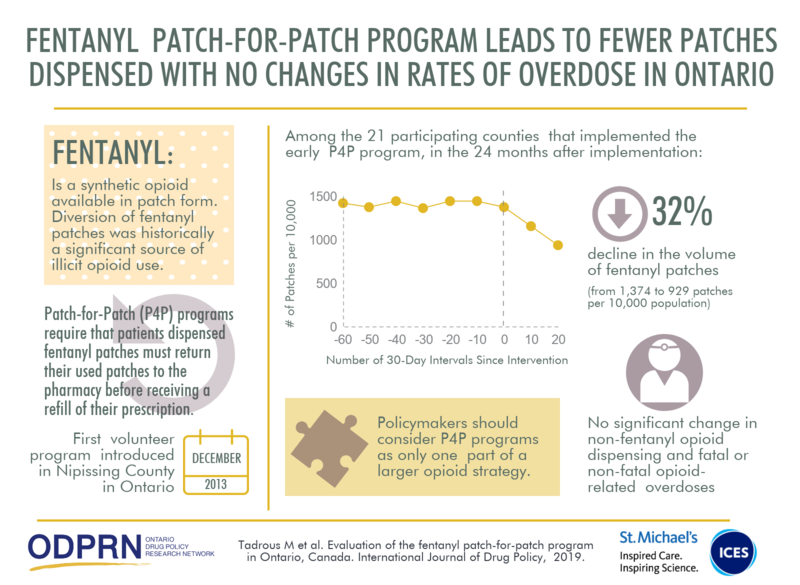 To curb the misuse and diversion of fentanyl patches, a Patch-for-Patch (P4P) program was implemented in some counties in Ontario between 2012 and 2015. The program requires that patients prescribed fentanyl must return used patches to the pharmacy before receiving more patches. This study evaluates the impact of the P4P program on fentanyl and non-fentanyl dispensing and opioid-related hospitalizations and deaths.